OKLAHOMA CITY – In the first-ever study of people serving life without parole for nonviolent offenses in the United States, the ACLU found at least 3,278 such prisoners in federal and state prisons combined; 49 of whom are serving life without parole for nonviolent offenses in Oklahoma. The ACLU estimates that of the 3,278 serving life without parole for nonviolent offenses, 65% are Black, 18% are white, and 16% percent are Latino; evidence of extreme racial disparities exists. Of the 3,278, most were sentenced under mandatory sentencing policies, including mandatory minimums and habitual offender laws that required them to be incarcerated until they die. One of the case studies focusing on Oklahoma tells the story of Teresa Griffin. Teresa was sentenced to die behind bars for her first offense. She was 26 and seven months pregnant when police apprehended her with $38,500 of her boyfriend's cash and half a pound of his cocaine. Several years before, she told her boyfriend that she was leaving him. According to Griffin, he hit her and threatened to kill her and take two of her children away if she left him. He was extremely jealous and controlling, and forbade her to go to school or work. Teresa says her boyfriend used her as a mule to transport drugs between Texas and Oklahoma, and forced her to pick up the cash proceeds of his drug sales. Griffin, now 47, has served 22 years in prison and says she feels immense remorse for her actions. "I would give anything…to be able to make different decisions," she says. "I know I did something wrong, but not enough to take away my life." The federal courts account for 63% of the 3,278 life-without-parole sentences for nonviolent offenses. The remaining prisoners are in Louisiana (429 prisoners), Florida (270), Alabama (244), Mississippi (93), South Carolina (88), Oklahoma (49), Georgia (20), Illinois (10), and Missouri (1). The ACLU estimates that federal and state taxpayers spend $1.8 billion keeping these people in prison for life instead of more appropriate terms. 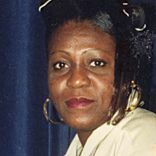 In addition to interviews, correspondence, and a survey of hundreds of prisoners serving life without parole for nonviolent offenses, the ACLU based “A Living Death” on court records, a prisoner survey, and data from the United States Sentencing Commission, Federal Bureau of Prisons, and state Departments of Corrections obtained through Freedom of Information Act and open records requests. The report includes recommendations to federal and state governments for changes in sentencing and clemency. The proposed policy reforms would help bring balance back to sentencing—crucial steps to reduce our nation’s dependence on incarceration.